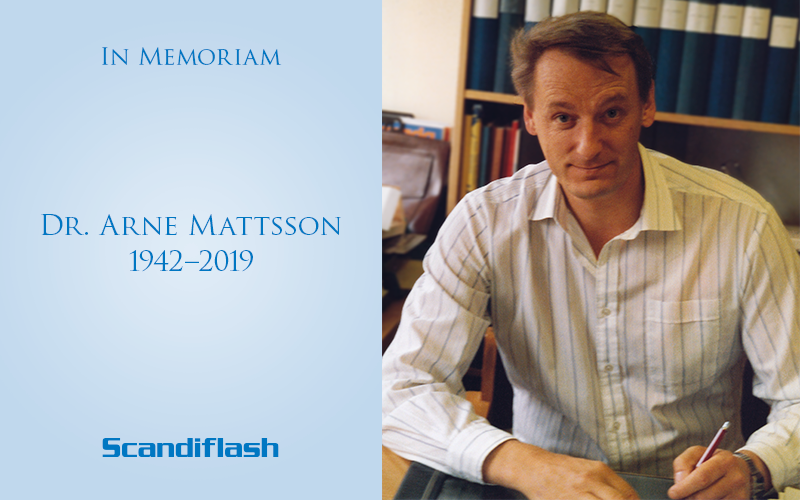 Arne Mattsson (1942-2019) was one of the key people involved in the development of Flash X-ray technology. Dr. Mattsson (PhD) began to develop the technology in Sweden together with the Swedish defense agency in the 1960s. For the past 35 years, Dr Mattsson was the company President of Scandiflash AB in Uppsala, Sweden and installed Flash X-ray systems in more than 30 countries worldwide. Dr. Mattsson, over the years was a major contributor of many scientific publications and has been quoted by business colleagues and researchers alike. He leaves a family of a wife, three children and seven grandchildren. Arne received three degrees from the University, a bachelor’s degree in mathematics, a master of science in physics and finally a PhD in physics. Arne has been a key figure in research and development in the field of Flash X-ray and will be dearly missed.